In this instrumental CD, you will hear the sound of nature crying out. In the scriptures, Jesus is presented as the Lion of Judah. 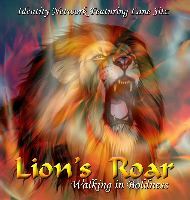 Take a journey into the sounds of the lion and the cry of the eagle as you listen to this CD. For it is our time to arise as lions and take dominion in the earth.